Before granite countertops and stainless steel appliances, before everything was painted slate gray, marble was the go-to designer choice for those with taste. Walk into the right house and you’d find gorgeous marble countertops in the kitchen, shimmering marble flooring, and tiled marble backsplash. Of course, like all good things, the marble trend died out in the early 2000s. 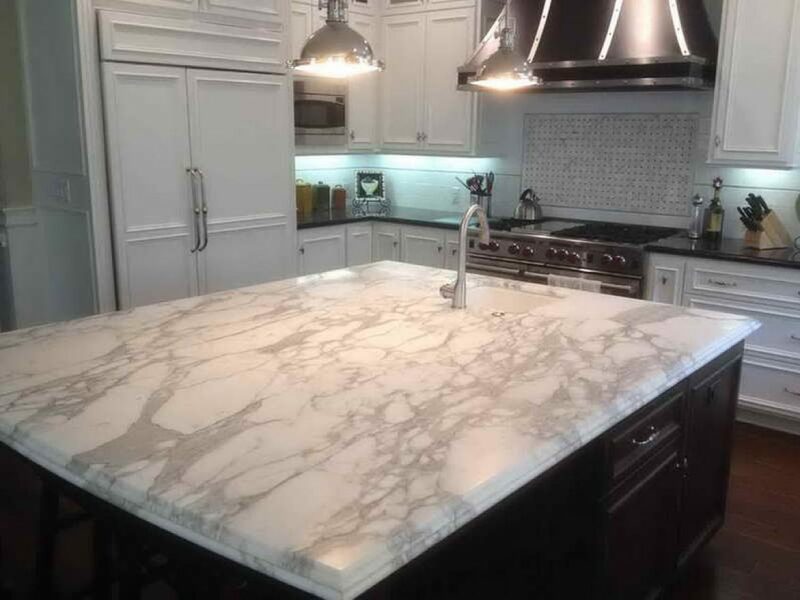 Your first thought is probably countertops, but that may not be your wisest option (though marble countertops are fantastic – if you can afford them). Remember, you only need a small splash of marble to put forth a classy look. Start with something small, like your light fixtures, or swap out your drab backsplash for some marble tile. If the thought of renovations scares you off, opt for something simple – like a marble mortar and pestle to decorate your countertop. White marble excels in making dark, closed spaces appear more welcoming and open – which means, the bathroom is the perfect place to add a touch of marble. A marble soap holder or sink basin and matching countertop can do wonders for a guest’s impression of your bathroom. The vast majority of people looking to add marble to their homes won’t want to do any major renovations. The good news? Marble’s return to popularity means that now, more than ever, you can find beautiful marble furniture that makes a statement. A white vase sitting in the guest room can denote high-end living and affluence. If you’re willing to go a little bigger, get a small marble table for the sitting room. Be sure to measure everything out first – marbles heavy and you don’t want to get stuck moving it around repeatedly! Marble’s versatile and works well with both wood and leather. Pair a marble side table with your leather couch, or place a marble sculpture on an antique bookshelf. Remember – you don’t need to overwhelm; today’s trend is to use a small splash of marble to make a definitive statement.